The reef, all the way down here? Walking the Bruce Highway for days, the most gruelling stretch, hot and requiring high levels of alertness saw a respite as we slowly drew nearer Rockhampton. Fewer villages except for the occassional roadside producer, almost all the small rural and almost forgotten communities provide a welcoming break and a nice warm shower. 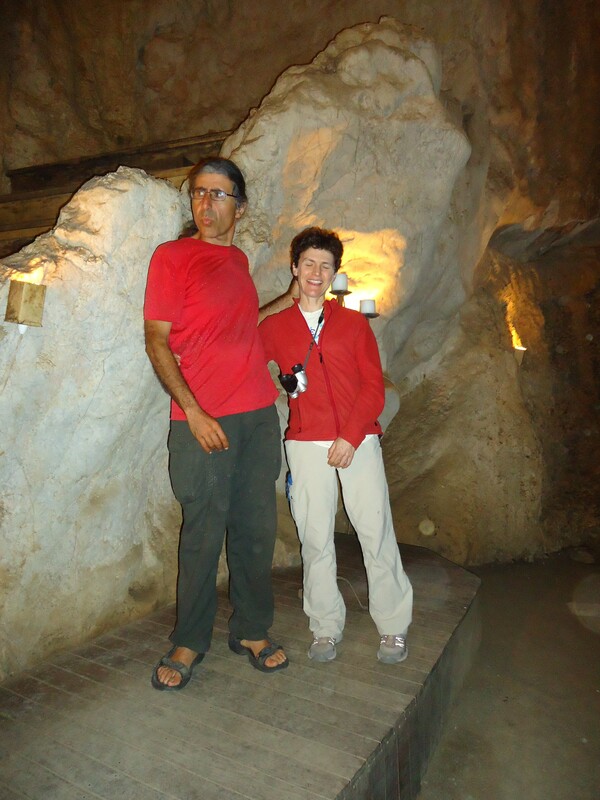 The stop just before Rockhampton, the Capricorn caves prove to be an exceptional educational encounter. This 390million year old part of a the great limestone reef thrilled and amazed me with its magnificent history and expanse of glorious caves sometimes as much as three stories high. These caves the home to the most amazing species of bat excited and further motivated me in my clear conviction that walking to save the reef was the correct and appropriate form of action to ensure I/we leave to the generation/s after us, environments we can marvel at and be thrilled to encounter. As we walked into Rockhampton and were met by the local friends of the Reef walk, just one word shared by 2 women took us back to our country of birth. (South Africa) It is so clear that the Great Barrier Reef is not only the treasure of Australia but the treasure of the world. Goodness me, Such a lot of walking but such a lot to have seen and to take in. Keep safe and I know you’ll all keep enjoying.